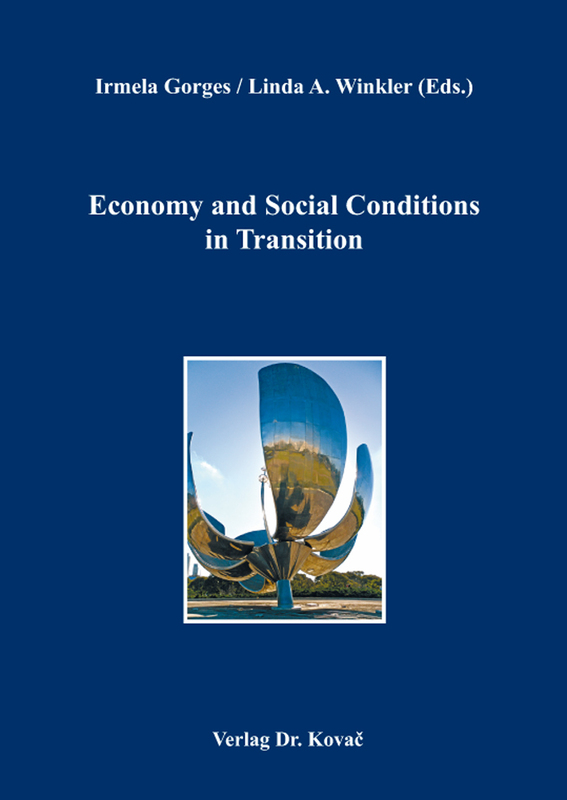 Economy and Social Conditions in Transition. Tagungsband von Irmela Gorges / Linda A. Winkler (Eds. ), Verlag Dr. Kovač 2014, 124 S.
This book is interdisciplinary in scope, written for economists, educators, and for individuals working on the fields of globalization, and its impacts on societal development. The book analyzes the current economic and social development in selected countries with different economic conditions relative to the impact of globalization and infrastructure development. The volume contains six selected papers presented at the annual conference of the Congress of Political Economists (COPE) International, held in Buenos Aires in July 2013. The contributions by economists from Poland, United States of America and Barbados delineate problems at multiple levels of globalization. A macro perspective with empirical data reports on relevant parameters of the worldwide financial crisis of 2007 and the positive and negative effects of interventions. In contrast, a detailed case study is presented on the public transport system within Barbados under the impact of globalization, supplemented by a proposition to develop sustainable transportation. A theoretical model proposing how economy could be strengthened by a reform of the social security system that will invest in human capital suggests a view into the possible future. Two Polish contributions and one from the United States demonstrate the transition of social conditions relative to the impact of globalization. The role of education in relation to the innovativeness of a country is discussed through the example of 27 European Union countries. A case study on maternal health in rural Africa (Tanzania) underlines the role of global funding and regional infrastructure development. The perspective for a future long-term economic growth is outlined in a contribution about the development of technological capabilities for Sub-Saharan Africa. The unifying frame of reference for all six papers is economic growth and related social conditions in a globalized world.